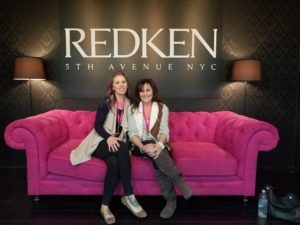 Once a year, here at Grace Kelly Salon, our stylists’ go to either The Redken Exchange, located in New York City, or The Redken Symposium, located in Las Vegas. Many people ask us “why travel that far for education, what is The Redken Exchange, and why every year?” Fashion is constantly changing, even from season to season. With fashion changing all the time this means we need to stay up to date, and in order to stay up to date we have to make sure we never stop learning. 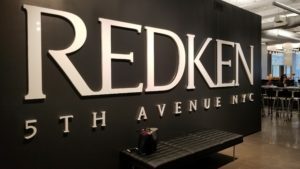 The Redken Exchange is one of the top places that stylists who follow Redken can go for education. The education is an in-depth learning experience over the course of three days. Stylists go online to Redken’s professional site to choose what the want to learn and when that particular course is available. The courses are taught by the top stylists in the Redken family who are some of the most successful world class, award winning facilitators. The three-day courses all start off with theory learning in the morning before lunch, after lunch you get to work on your mannequin head learning what you were taught that morning. A new thing that Redken has started is on your third day after lunch you get to work on an actual person. This allows you to put all of those brand-new skills you just learned to work with the very best instructors there to guide you if needed. When going to local classes, or even hair shows you are not given the ability of the in-depth education that The Redken Exchange offers. Typically, in these classes or shows you as a class whole has one mannequin and each stylist is offered to try the new technique once. These classes are also only at most a four-hour day. This is a great opportunity if it’s all that is readily available for one. We as a team try to go to these classes as well as The Redken Exchange. In order for us to bring Gettysburg, PA the newest, and most up and coming styles we have to go to New York City and learn at The Redken Exchange. The styles that stylists are taught at The Redken Exchange come fresh from fashion shows around the world, styles that the U.S are usually late in coming to. Going to The Redken Exchange allows us to be the first ones to bring the newest trends to our clientele. We strive in learning as much as we possibly can in order to always be ahead of other places in regards to the fashion game.